For purposes of checking out how Bicol municipal LGUs’ income compare outside of the region, thus we continue the series on this one. Twenty five towns of the Philippines earned between +P200M and +P1.05B for the year 2006. The National Capital Region’s San Juan dwarfed all others on this category. 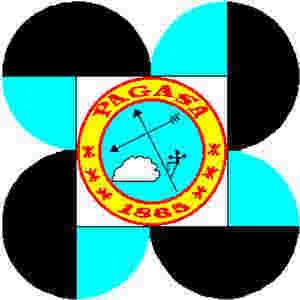 As with the previous year, only one town from Mindanao entered the list. All others came from Luzon, and many around the sphere of influence of metro Manila. Nine towns earned an annual income of +P150M but less than P200M. Here, the Bicol’s Daet came third from the bottom and 32nd overall. Still the list is swarmed with LGUS from Luzon and one town from the province of South Cotabato, in Mindanao. We’re taking note of the town of Malay in the province of Aklan where the island of Boracay is also part of its municipal territory. Malay registered an annual income of P68,461,430. From the national government, it received an IRA share of P28,224,670. Malay is 41.227% dependent from IRA for the year 2006. At the end of the year, it has an excess money of P12,711,130. Malay ranked 283rd nationally but second in provincial income following the capital of Kalibo. We mention Malay here as we are keeping a close watch on the possible (and upcoming) tourism windfall for the town of Caramoan and neighboring LGUs in the years to come. The top Bicol towns ranked nationally as: Daraga (55th), Labo (115th), Libmanan (128th), Polangui (196th), Pili (207th), Aroroy (213th), Guinobatan (214th), Bulan (227th), Camalig (242nd), Calabanga (244th), Libon (249th). Also, Sipocot(287th), Nabua (294th), Tinambac (302nd), Oas (305th), Virac (307th), Tiwi (317th), Ragay (318th), Pilar (351st), Bula (362nd), Claveria (364th), Milagros (376th). IRA Share. Twenty one municipal LGUs nationwide received an Internal Revenue Allotment share over and above P100M led by Dasmarinas (Cavite). Except for four towns from Mindanao and one from the Visayas (Leyte province), all others come from Luzon. The top earner town of San Juan (NCR) received an IRA share of P82,067,000 (rank 54th). At the end of the year, 12 municipal LGU’s nationwide saved +P50M. Bicol’s Daet ranked 5th in savings. Except for 2 towns from Negros Oriental and Leyte, with 1 each, all others came from Luzon and not one from Mindanao. Thanks and photo courtesy of CWC.